What on earth are ‘plug-ins’? A plug-in, or ‘plugin’, depending on how good your spelling is, is software that adds functionality of some kind to your WordPress database. 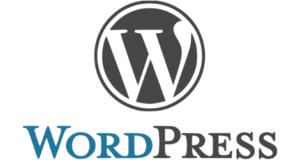 Plug-ins are designed to target specific aspects of WordPress functionality, such as load speeds and the compression of large files such as pictures. Below is a list of essential WordPress plugins we consider too important to have on your site in 2017. Plugins developed because, while WordPress has lots of tools and features, some things that designers and webmasters felt they needed were lacking. The internet being what it is, coders started filling in the gaps by writing software add-ons that would provide designers will cool new tools to help design sites and analyze various aspects of their usage. You’re a new WordPress user, perhaps. You’re just getting to grips with the software and you’re looking to create more than just a site to host your holiday snaps and diary. You need the essential WordPress plugins, right? Don’t Google ‘WordPress plugins’ because smoke will start to come out of your tablet, (11.6m hits). Instead, you can start your exploration of WordPress plugins right here. That’s because we’ve already done all the research you’re about to do. Developed by: Pojo Me Digital Ltd. Released just last year, in June 2016, Elementor’s drag-and-drop simplicity has attracted more than 1m downloads. It gets our number one spot because even if you’re a WordPress newbie, Elementor is so simple to use that it’s virtually bomb-proof. Simple and clear menus, real-time site updates, and entirely coding-free, Elementor speeds up the site design process like a turbo on a Maserati. It allows you to customize WordPress layouts, including template themes, to your heart’s content. You can resize columns easily, adjust content and column positions by dragging your mouse and create your own templates to save or share with other designers. Designs are auto-optimized for all platforms including mobile. Web design now takes less time, but if you’re a designer I bet you haven’t lowered your prices accordingly. Kerching! Okay, you’re going to have to hand over some cash, and nobody likes doing that. 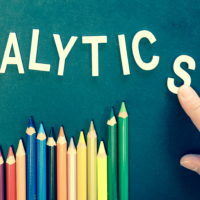 However, when you need to analyze the activity on your site and the traffic that comes in and out, Monsterinsights is pretty much the best around. They’re up to more than 16m downloads already. The basic version is less than the price of dinner for two at a basic chain restaurant! It’ll run on a single site, includes Google Analytics Dashboard as well as features such as engagement tracking and demographics reports. One thing we liked about this plug-in was that while the basic version is very useful for webmasters, the ‘plus’ and ‘pro’ versions give you a host of additional features. In ‘pro’, for example, you also get an e-commerce add-on, WooCommerce Analytics, and form submission tracking. What we liked about W3 Total Cache is that it works well (and some vulnerabilities reported in 2016 have been fixed). Load speeds are such an important factor in site traffic activity that you’re going to need some sort of server caching software to make your site smooth and fast. Google recommends that your pages load in less than two seconds. Basically, server caching stores Web content temporarily to speed up its availability on a local area network. W3 Total Cache is regarded as the best of these by many, many pros. We also liked the fact that the premium version is customizable. This means that you can decide what your site’s priorities are in terms of caching. Of course, there was no way we were going to let you go without recommending a site security and scanning plug-in to defend your precious blog from malware and other nasty internet lurkers. Wordfence’s premium version is the one we’d recommend here because while the monthly fee is not too outrageous, the premium benefits are considerable. They include a real-time threat defense feed, country blocking, and a smart phone sign in feature that is particularly handy if you’re traveling or out of your office when your site suffers an attack. Wordfence also comes with some caching, using the Falcom caching engine. Wordfence will block brute force attacks, and you can use it to set up two-factor authentication for relevant site visitors. We’ll be writing more about essential WordPress plugins for 2017 and beyond, and how they can help your business, real soon. Enter your email address and first name below so you never miss an article. We’ll let you know every time we post something new. I’ll Huff, and I’ll Puff: Do Brick and Mortar Businesses Need a Website? © 2018 SEO Ready Website-Your Business, Internet Ready!. All Rights Reserved.